Car mud flaps and SUV mud flaps help protect your ride from rock and paint damage. Typically these mud flaps are referred to as splash guards. Mudflaps.com has best selection of mud flaps for cars or SUVs. Mud flaps stop rocks and debris from chipping at your vehicles paint. Car mud flaps and SUV mud flaps come in two different models. 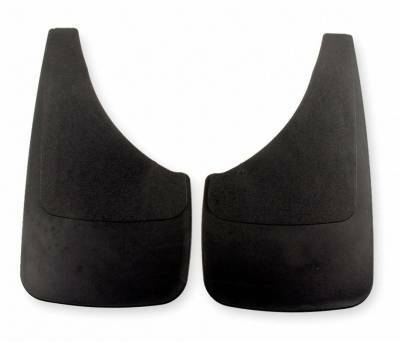 The first is a molded mud flap that is designed specifically for your ride and contours to the wheel well. The second is a universal mud flap that is made for any vehicle type. These universal mud flaps can mounted however you like. To get you started check out Power Flow Road Sport splash guards. They are largest manufacturer of OEM style mud flaps. If you tow a trailer or boat there is a third type of mud flap system that will work well for you. This system attaches to your hitch using a ball mount and keeps rocks from kicking up and hitting your boat or trailer. The Rock Tamers are best hitch mount system on the market. We found that have mud flaps located at the rear of the vehicle actually stop more rocks and debris from hitting your trailer or boat. No matter what you need, Mudflaps.com carries the best selection of Car Mud Flaps and SUV Mud Flaps. Check out Rally Armor Mud Flaps if you have a Subaru or Mitsubishi. Mud Flap No-Drill Digital Fit. Patent Pending QuickTurn hardened Stainless Steel fastening system. 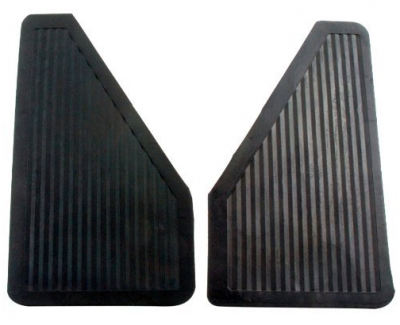 These Mud Flaps mount in minutes without the need without the need for any drilling. 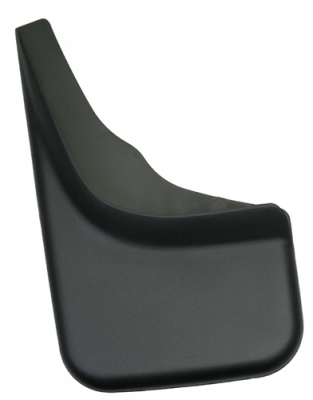 Dee Zee Splash Guards are made from highest quality and heavy duty materials. These Mud Guards offer both Molded & Universal design and will fit on nearly any kind of vehicle.